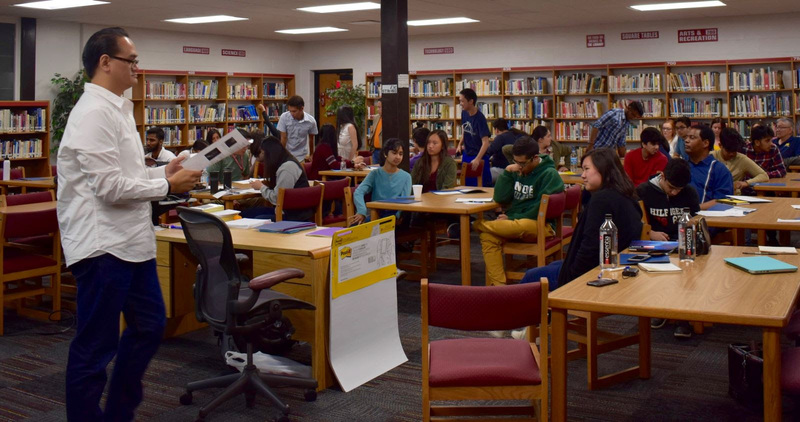 Students and community members spent a whole day in the library of Canton High School, a sprawling campus in Greater Detroit, to attend the Norman Y. Mineta Leadership Institute Training on Saturday, May 19. Siddarth Chhettri, 16 years old, is one of many Detroit students who recognize why they must get out the vote in 2018 and beyond. “We just want a bigger voice in the community, more representation from our side because voter turnout is low in our community. We need to get more people involved in [civic] activities,” Siddarth, Novi High School student, said. What does that look like? He helped plan mock elections at his high school to engage his peers and help them get registered once they reached 18 years old in the 2016 and 2017 election cycles. Siddarth emphasizes the importance of voting in local elections. “Mock elections would help young people learn how the voting process works and what’s going on locally in town. If you want a city park, what’s your opinion on it? The small stuff matters too,” Siddarth said. He says Michigan will vote for a new governor this November 8th: “We have to know the candidates’ characters and who they are” to cast an informed vote. When not taking an active role in his AP Government and Politics class, he helps out his mother at Mai Family Services, a clinic that supports South Asian victims and survivors of domestic violence in Michigan. Do you want to take action and help the effort to get out the vote in 2018? Siddarth says you can start by registering people to vote in your community like he plans to do in Novi, Michigan. All photos courtesy of APIAVote - Michigan. Sign up now to claim your seat. 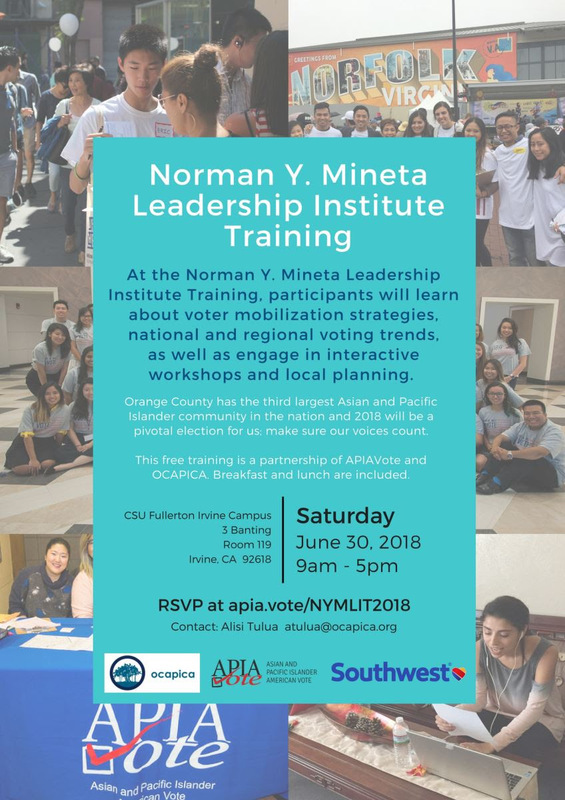 Unlock the secrets to politically engaging your community in 2018 at the Norman Y. Mineta Leadership Institute Training. Our next stop is Orange County, Calif. on June 30th. Don’t miss out! We will release more training dates shortly. Follow our Facebook page for updates. Why do primary elections matter? In this voter guide New Yorkers learn how to get ready to vote in two primaries (June 26 and Sept. 13) this summer. Primaries are considered the "real" election in New York where "competition is fiercest at this stage in the electoral process." 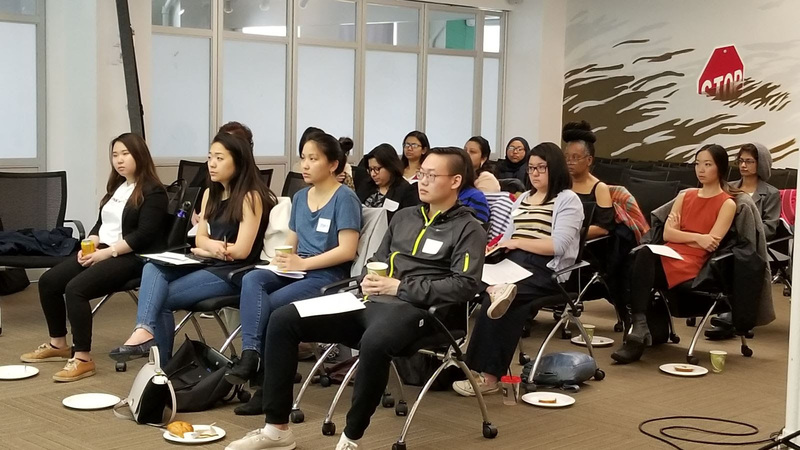 APA Voice hosted a training in New York this past weekend, with trainer support from APIAVote, to prepare volunteers on how to canvass with the voter guide. The guide includes an FAQ on voting and a list of locations where people can receive help to apply for U.S. citizenship. 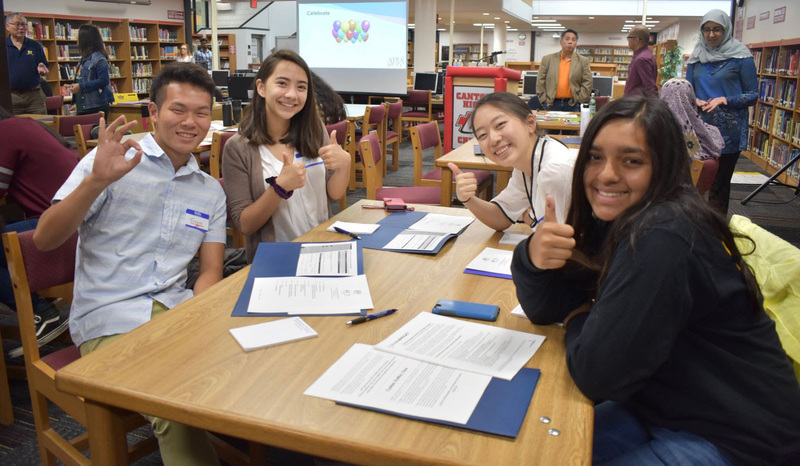 "Becoming a citizen and exercising your right to vote is the first step to being fully active in our democracy," APA Voice stated in the guide. "We vote for our youth who are still too young to vote. We vote for our neighbors who are not citizens. We vote for our collective future," APA Voice stated. The guide is available in English, Korean, Chinese, and Nepali.